Fire acts differently in space than on Earth. Sandra Olson, an aerospace engineer at NASA's Glenn Research Center, demonstrates just how differently in her art. 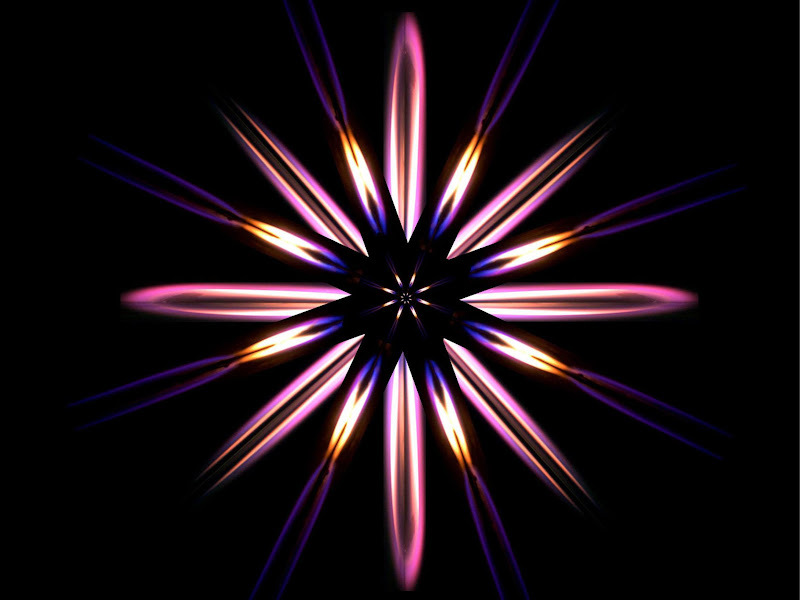 This artwork is comprised of multiple overlays of three separate microgravity flame images. Each image is of flame spread over cellulose paper in a spacecraft ventilation flow in microgravity. The different colors represent different chemical reactions within the flame. The blue areas are caused by chemiluminescence (light produced by a chemical reaction.) The white, yellow and orange regions are due to glowing soot within the flame zone. Microgravity combustion research at Glenn not only provides insights into spacecraft fire safety, but it has also been used to create award-winning art images. This image won first place in the 2011 Combustion Art Competition, held at the 7th U.S. National Combustion Meeting.